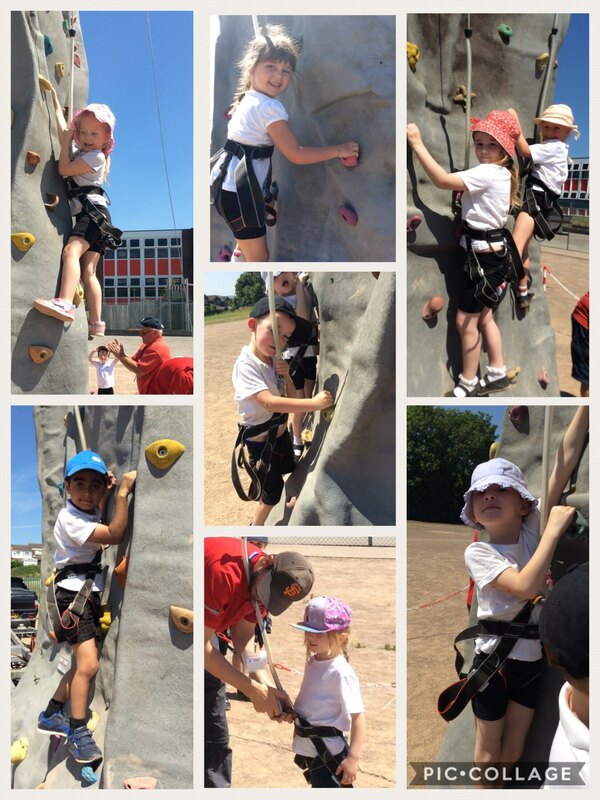 The children in Busy Bees were very brave on the climbing wall this afternoon. We were very proud because they all had a go and some even got quite high up! Great job children. This entry was posted in EYFS and tagged P.E. on June 28, 2018 by Sandford Hill. I’m very pleased to hear that you all had a go at the climbing wall. Well done children.